"Scotland's Most Experienced & Popular DJ (42yrs)"
I started to Dj back in 1976 and since then I've played in nightclubs all over the world and been a mobile Dj throughout the UK providing top quality entertainment at weddings, birthdays,engagements and anniversaries. I also do what I consider to be fantastic children's parties. I believe I am extremely good at what I do, I'm very flexible and adaptable and can adapt to any situation. This is a particularly good talent for a mobile Dj! I have a wide taste in music and I'm still learning. Customers regularly comment on my considered choices that I play for them. I always play requests and have no problem playing from a playlist as long as it's not too long! I like to impress, I don't like doing things by halves. My lighting can be dramatic and will help transform any venue to make it look amazing. My customers seem to love it, as you'll see by their reviews! I also come with a professional sound system, I've always liked crystal clear sound and so do my customers. I have a huge selection of music, I can cater for all tastes with ease. I can play and call ceilidh dances too. I am a full time professional Dj, this means that I don't have to rush home and drive like crazy to get to your gig. I like to set off very early and arrive with hours to spare which can be very reassuring. I also have lots of time to prepare for your event and help make sure that everything runs like clockwork. Required by many venues, Platinum Discos has a current PLI policy with National Association of Disc Jockeys in the amount of £10 million. Also required by many venues, Platinum Discos has supplied satisfactory evidence of holding current PAT inspections of their equipment dated within the last 12 months. A Method Statement outlining Platinum Discos&apos; Health & Safety procedure for setting up disco equipment has been provided. Why do people choose to book Platinum Discos? he could provide what I wanted. "Ashley is a lovely guy who was an asset to our wedding celebrations. " "I really enjoyed meeting you at this lovely venue! It was a great night with a really good playlist. " "What can I say about this man, he was absolutely brilliant and the dance floor was packed from start to finish. How many weddings can you say that about. There were so many people asked us where we got him from, his music choices fitted right in with the age group of people there he just knew what was needed. Our friends and family are still talking about him a month later. I would highly recommend this guy to anyone needing a dj for their wedding." "Thank you for your glowing review!" "DJ was not Ashley on the day but his replacement was brilliant. The dance floor was full from the start until the end. Thank you so much for helping us have a day to remember x"
"I’m glad you had s great night, sorry I couldn’t be there personally." "Ashley was amazing, have already recommended him to my friend for her big birthday party x"
"I’m glad you had a great night and I hope we meet again in the future." "Dougie was excellent. Brilliant interaction with the kids and taylored the party perfectly for the age group. Would definitely book again and recommend "
"Dougie is an excellent Dj who has worked with me since 1985 and I’m delighted to hear that you had a great party with him! Ashley." "Jos was absolutely amazing. It had been a stress full week with the adverse weather conditions and many people unable to make the party last minute due to being snowed in. However thanks to those who could manage and with Jos giving 100% effort it ended up a fantastic night. My son has many difficulties and after explaining to Jo's he went that extra mile and allowed him to get up and sing his favourite Robbie Williams song Angels. He was so good with him . Everyone at the party raved about his professional approach. I would have no hesitation in recommending Platinum disco's and especially Jos . THANK YOU SO MUCH"
"I’m glad that your son had a great night, we always try to deliver on our promises." "Keith DJ'd for us on behalf of Ashley. Contacted the venue himself to ensure early access so he was set up well before we arrived to do our set up for the guests. He arrived on time for the event it self and played the right mix of music for the audience. Very pleased and would happily book this firm again,"
"I’m delighted that Dj Keith gave you a great night! He is a very professional and capable Dj!" "Ashley is a very experienced and professional DJ. The personable manner in which he conducted himself ensured that the evening’s celebrations were a great success. I certainly would recommend him. " "Thank you for your lovely review. It’s always a pleasure to entertain and throughly enjoyed entertaining you all." "Great night had by all. Got quiet toward the end of the night but the DJ kept the pace steady throughout the night, made a great night if it." "Thank you for your review, I’m glad you had a great night!" "DJ was booked for engagement party and was absolutely fantastic. They met our needs and music tastes with no fuss. They created an upbeat and fun atmosphere, keeping all party goers satisfied. Karaoke was brilliant and the DJ was great at encouraging folk to come up to have a go. Upfront, down to earth and fun DJ who both myself, partner and family highly recommend. We shall be keeping them in mind for our Wedding." "I’m delighted that you had such an enjoyable night with Dj Angie on the decks. She is a star and consistently gets great reviews! I look forward to providing the Dj for your wedding." "Great evening supported by Platinum Disco with DG Dougie. He provided a great evening of entertainment he had a play list that I supplied which was accurate adding in his own twist to the evening Platinum Disco provided everything they promised in the advertisement,would definitely use again and recommend. My guests made many positive comments about the whole night. Thanks to Platinum Disco. Ashley keeps you updated and is quick to respond with any questions or support any add on,s you wish. " "Thank you for your lovely review. I’m very lucky to have so many awesome Djs available to do parties. Dougie is a fantastic Dj and very friendly and helpful and consistently gets great reviews! Glad we could be of service and we look forward to entertaining you in the future." "I’m glad you had a great night! We aim to provide top quality entertainment consistently!" "Ashley was an excellent DJ. His equipment was top class, with quality sound and lighting. I can especially recommend the mood lighting and the LOVE letters. The mood lighting was excellent and shows up really well on the evening photos. 5 stars!" "Thank you for your lovely review. I do like to impress with great sound and lighting and my choice of music and it’s always really nice that it’s appreciated." "Dear Ashley, we would like to thank you for helping to make our daughters 30th birthday party really special. We thought that not only were you very professional in all the booking process and also our requirements, you were very much the perfect DJ/Disco for our occasion with your impressive lighting and sound equipment and nothing seemed too much bother for you, you were genuinely happy to help. You crossed the age barrier with ease as we had from baby to 83 years old and you had an endless playlist for all of us to choose from. I would definitely use Ashley for any future events that we were having!! Well done Ashley +++++ Regards C&E Kelly "
"I thoroughly enjoyed transforming your marquee with lighting and meeting you and your guests. It was a pleasure to do your daughter's 30th birthday party! A great crowd to entertain always makes my night! Ashley." "The process from the initial inquiry at need a disco for getting the right dj was seamless. I received a couple of quotes straight away. Ashley stood out immediatly with his professional honest and thorough reply with Platinumdiscos. A contract was set up and a deposit was paid. I had to switch the venue at short notice and this was delt with by Ashley straight away without a problem. On the night one of Ashley's dj's Paul turned up in plenty of time and set up. He was well presented and helpfull and ran through the timings with myself. The music was perfect for the eighties theme and the karaoke kept the kids occupied. He took requests and played videos to suit the theme which was a great touch. All in all we had the best night and I would not hesitate to use Ashley and Paul again. " "Thanks for your lovely review. Paul is an amazing Dj and I'm so pleased you had a great night with him!" "Ashley was great from start to finish, this was our first time getting married, wasn't sure how things worked ie dances things like that, Ashley was great no question to small, good music choices and had every request our party asked for, Thanks for a great night and wish you well in the future "
"Thank you so much for your review. I had a very enjoyable night entertaining you all. Congratulations to you both and I hope to entertain you again in the future." "Ashley was the perfect DJ for our event. In a difficult room with lots of hard surfaces he got a far better sound than I had expected. His music choice suited our audience perfectly, and he slotted in requests with no problem. He arrived well before he was due, and displayed total professionalism throughout. I cannot recommend him highly enough. We will certainly consider him for our next Annual Outdoor Gathering in Telford at the end of July 2018, even though that is well south of his usual territory and will cost us extra money. " "It was my pleasure to do your event. I thoroughly enjoyed it too and upgraded the sound system when I saw the size of the venue and its many hard surfaces. I was very pleased with the sound too! I'll be delighted to see you all again in 2018! Thank you so much for a lovely review and a great night!" "The DJ was brilliant, a lot of the guests commented on how good he was, I would definitely recommend." "Dj Dougie who did your party is a star! His musical knowledge is amazing and I constantly get great reviews like yours. I'm delighted that you had a great night! Thanks for the review. Ashley." "Duncan was our DJ for our wedding. He arrived well before our night time event, which was perfect :) I had previously send loads of song requests, for my first dance, father daughter dance etc. There was a bit of a mix up in communication between Ashley who received my song request emails, and Duncan who done our event. Which resulted in me and my step dad not getting our song choice etc but Duncan was very accommodating and quick to help out with a solution.i would recommend him to any Bride to be or anyone having a function. Was a lovely night filled with 80's music and ABBA (our choice) "
"Sorry for the mix up with the songs, I'm glad Dj Dougie gave you a great night!" "Very professional and friendly. Great interaction with the children. Would highly recommend to anyone." "A thoroughly enjoyable night with great kids who were polite and very well behaved." "Ashley was amazing. Totally professional and so much fun at the same time. I would highly recommend him. Lighting was spectacular. He really made my daughters party. I wouldn't go anywhere else now. Top man. Top job. " "Thank you so much. I love my job, entertaining has been my whole life forward to." "Glad you had a great party!" "Keith is an excellent DJ and had the floor filled throughout the evening with dancers! It was a great night! " "I'm glad you enjoyed your party with Dj Keith. He's a great Dj who really knows how to entertain." "Ashley (Platinum Discos) Provided the set for myself and my wife's after-wedding party in Dundee (Gold Package) for approx. 120 people. The best feedback I could give for Ashley is to say that if I could have chosen greater than 5 for a number of the questions with this feedback, I gladly would have! It is honestly no exaggeration to say that I had at least 20 couples come to me afterwards and say it was among the best discos they had witnessed. The music choices could not have been better (packed dance-floor! ), all requests were accommodated happily without exception, the lighting rig was magnificent & the sound level ideal. When I arrived to deliver the buffet etc...90minutes prior to the start, Ashley was already well advance in the set-up, which speaks volumes for his professionalism & pride he takes in the quality provided. Needless to say I have provided his details to a few people who had upcoming events & would thoroughly recommend him/Platinum Discos for any event. Thanks again, Ashley!!" "It was my pleasure to Dj at your wedding after party! It was great fun and you and your guests were fun to entertain!" "We chose Ashley through the reviews we had read on need a disco and also his promptness to get back to us, first one to email and first one to ring. Ashley's service was second to none. We had a wedding party in two teepees for 80 people. His service in the lead up to the wedding and the day itself was impeccable. We had a fantastic wedding disco. Ashley worked the floor and just built upon the atmosphere. He really topped off a wonderful day, I would have no hesitation in booking him again, his experience certainly showed. Kate and Steve Sylvester "
"A very memorable wedding for all the right reasons! Lovely bride and groom and guests and a great setting for a wedding! Thoroughly enjoyed this one!" "Ashleworth certainly has tremendous knowledge about his work and gives your everything you need we had karaoke it was great fun and the disco got everyone up dancing everyone had a great time I would do it all again Thank you Ashley and your Co host Dougie Keep up the fantastic work you do Al the best for future events "
"Thank you so much! We love what we do!" "Many thanks to Ashley for a fantastic party. " "Would have to add DJ Ashley gave me useful advise on where and how to get Nigerian music of my choice that I wanted played on the day. The lightening effect was great as it changed and lifted in the atmosphere in the hall. All in all my guests and I all had an unforgettable experience! Would definitely recommend Ashley & his lights to anyone!! " "Thank you for your lovely review. My aim is always to provide the best party experience possible!" "Had a brilliant night, only downside was that not a lot of the music we requested was played"
"We always try to play as many requests as possible plus songs from the playlist. We have to cherry pick the best songs when we are short of time. I'm glad you really enjoyed your night!" "Held a party for my 12 year old daughter. I decided to go with Ashley at Platinum Discos as he was cheapest. I expected a DJ to arrive with budget equipment for what I paid but it was top of the range stuff. He definitely exceeded all our expectations and I have had loads if people ask for his number already. What a lovely gentleman who came out with crazy games just suitable for the age group and got all children involved. Made my little girls night and I will definitely use again. " "Thanks for your lovely review! I had a very enjoyable night entertaining you all." "Would definitely recommend Ashley. Showed up early to make sure set up was perfect, is obviously very experienced, good music, good patter with the kids great games including obstacle course, what more could you ask. Even got the parents up for the last dance, no mean feat ! Had nothing but positive feedback from kids and parents. " "I thoroughly enjoyed entertaining your children. It was nice to have a large hall where I could play games like the obstacle course game. The time flew past and that's always a good sign!" "Great playlist, very interactive with audience. Catered very well for both kids and adults, plenty if people commented what a great job DJ was doing on the day." "I thoroughly enjoyed doing your son's Communion. You had some great guests like "the baby" who were great fun to work with. I had an amazing easter weekend and your party just topped it off." "Dj was amazing interacted very well with kids and played music to their tastes. Guy was really nice and done an amazing job showed up early and set up fast. My children and all their friends commented on how good the party to was and the parents have asked who the DJ was. Great job and highly recommended thanks"
"I'm delighted that Dj Keith gave you the ultimate party that we like to provide and that all your guests were delighted with him. Ashley." "Booked platinum discos for my daughters engagement party. Could it have asked for anything more, Ashley was perfect. There was a mix of ages and he played music to suit everyone. We all had a brilliant night. I would thoroughly recommend Ashley/platinum discos to anyone. " "Thoroughly enjoyed my weekend! To have a job you love is so lucky! Watching people enjoying themselves is good for the soul." "Great DJ. Pitched perfectly for a mixed age audience. Would highly recommend, everyone had a great night." "I'm glad you had an enjoyable night with Keith. He is an excellent Dj!" "We had Keith for my daughter's 6th birthday party and DJ Keith did a fantastic job of keeping 20+ kids entertained.He was very funny and good with the kids. They all had a great time.Thank you"
"I'm glad Keith did a great job for you! He's an excellent Dj!" "Absolutely brilliant, everybody has commented on how good Bill was and nothing was too much trouble for him. He played every request that was fired at him. I have no hesitation in using platinum discos again,in fact I want them for my 50th lol "
"I'm glad Bill gave you a great night. Please get in touch re your 50th and I'll book you in." 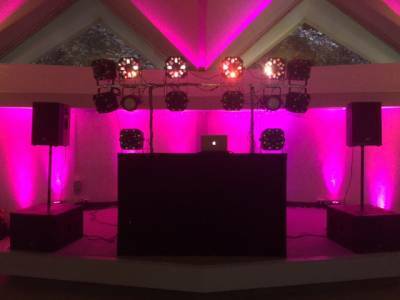 "DJ Dougie was very good, lights and music were excellent, would definitely recommend. " "He said he had a great night and thanks for re booking. Dougie will see you again at your next party!" "Couldn't have been happier, the set up he had was amazing as was he." "Thanks, I had a great night too!" "Ashley was fantastic from the moment he phoned me back, very professional and friendly. He was always at the end of the phone and emailed back immediately to any questions. I cannot recommend him enough and would definitely use him again for any occasion. The kids absolutely loved their disco it was the talk of the school for days after! A few kids said to me after "it was the best party ever". Ashley was the perfect host he lead the whole party games & music by himself interacting well with kids, he even learnt a lot of their names. Everybody kids/adults alike were very impressed by Platinum Discos. Thanks SO much x"
"I thoroughly enjoyed entertaining and all her friends! Hopefully see you again soon!" "Ash was the best dj we have ever heard so much so I booked him for the following week for a private function I was arranging and he went out of his way to make our event & my especially my own an unforgettable night. I WILL be recommending Ashley to everyone I know & WILL most definitely be booking him for future events!" "I was glad to help you out after your original Dj let you down. It was a fun night and a pleasure to entertain you! See you at the next party! Ashley." "Ashley from Platinum Discos was professional & attentive from the very first interraction. On the night he was fantastic. He played the crowd & had them dancing straight away. The lighting created a fantastic atmosphere - The place looked amazing. The sound quality was excellent & the volume just right. I booked Ashley again for next year before he finished the night. Very happy x"
"My first new year out of Scotland and I ended up in Hexham. I had a very enjoyable night in a fantastic venue with very friendly efficient staff. I'm already looking forward to New Year's Eve 2017!" 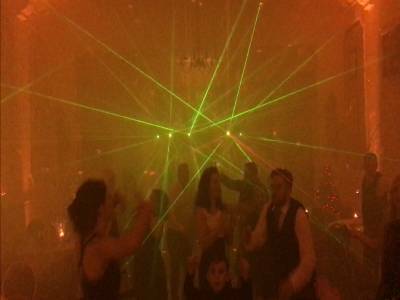 "Hogmanay 2016 in Kirriemuir Town Hall was rocking thanks to Colin at Platinum Discos. The atmosphere was great from the beginning to the final song. His timing at midnight was spot on and everyone had a great night. Thank you once again and look forward to the 2017 party. " 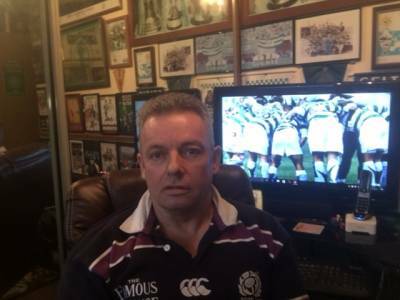 "I was delighted to hear that you had a great night with Colin and have rebooked already for Hogmanay 2017." "Ashley supported our event at the very last minute and all feed back from those that attended has been excellent. We would not hesitate to use Ashley again in the future." "I was delighted to help out at your pensioners party. It was a great event to do and I thoroughly enjoyed it." "Ashley was excellent to deal with but sadly due to the busy time of year he had to sub contract an agency DJ. He was scruffy, grumpy because he had to take his kit upstairs. He also looked for 20GBP more than the agreed price but I had a confirmation email which sorted that. Music and lighting were fine although I would have liked to have been told about the noise limiter - the club didn't tell me neither did the DJ Contacted Ashley after the event - voiced my concerns and got an apology - he said he won't use the DJ again. It's a pity that his business was unfortunately associated with the guy." "Unfortunately this venue has a new sound limiter which has recently been fitted since my last visit. As of January 2017 I will no longer sub contract work to any other Dj due to things like this. Unfortunately upstairs venues are a pain, but it's part of our job and you just have to get on with it." "Would not hesitate in booking Ashley for another event, interacted well with guests and music and lighting were great. Thank you. " "Thanks for your review,it was a very enjoyable night!" "Really good DJ and song list. Ashley asked by email if we had any songs that we would like played. Sent him a few , all were played and advised the age group of guests. His song choices were superb for the age range and a lot of people commented on it. not too loud - and not too quiet. Nice effects with the lighting around the room cannot recommend Platinum discos highly enough"
"I'm delighted you had a great night,a fun crowd always helps and you were certainly that!" "Absolutely first class from beginning to end. Professional throughout. The DJ's experience shone through the entire evening. Handled the guests and requests perfectly. Even helped us 'run' the evening. Feedback from all guests was glowing. 60+ guests. Not one negative comment received about the DJ services provided. Would use again in a heartbeat and would not hesitate to recommend." "Hi, I'm really glad you had a wonderful night! I try my best to make everything perfect!" 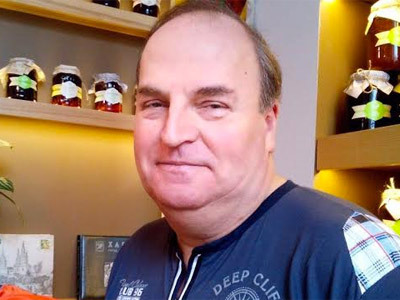 "Ashley is a friendly, easy going, guy with an encyclopedic knowledge of music, who responded sensitively to the tastes of the audience and presented an impeccable disco experience. " "Thanks for the compliment. I'm glad you enjoyed your evening." "Our event went really well. The DJ was excellent as he provided suitable music and joined in with the other bits and pieces we did. I would definitely recommend and use again." "Thanks, I'm glad you enjoyed your night!" "DJ was changed 24 hours before event. Replacement DJ was average at best. Lighting was poor. Decided to play some of his own ideas as oppose to playing our play list." "Unfortunately I ended up in A&E the day before your gig and the first thing I thought of was to cover your job. I managed to get a replacement Dj rather than not turn up or cancel your disco. I'm sorry that Brian the Dj I sent I chose to play something different from what was on your playlist. I no longer use Brian to cover my discos due to 3 bad reviews on here due to him and his Djs which he said he had sorted but obviously hadn't! Apologies for him not doing his job in the manner he should've"
"Definitely recommend Platinum Discos to anyone looking for a DJ couldn't fault Mark in any way he handled all the requests we made very well and fully covered my daughters extensive and varied playlist! " "Thanks for your review, Mark was very happy with how your event went and enjoyed it too!" "I can't remember the djs name but can I just say the best dj i have used ever. He had everybody up dancing and enjoying themselves. He was very professional and friendly and above all great fun! No question I would definitely recommend and use him again. " "Thanks for your review, I'm glad you had a great time!" "I wasn't very happy from the beginning. Party started at 7 and he arrived at 7. So while my guests were arriving he was setting up. It was an 18th. I asked him several times to play dance music and he kept playing old music. He was ok but I personally wouldn't use him again. " "This party was booked for a 7.30pm start and when I contacted this customer she agreed it was her mistake. The music played was exactly what was asked for but the Dj did play requests from other guests and it was a mixed age group." "Alan was really good and played to his audience well. I would have no issues in recommending him and using him again." "Thanks, I'm glad Alan gave you a great night!" "I received a lengthy email describing the wealth of experience, quality of equipment etc. I asked re contract and was told they didn't usually do that as an email was a contract in its self, although mentioned contract several times in said lengthy email ( ignored the red flag, my own fault on this point). I requested karaoke as it was my husband's 40th and thats what he wanted. On arrival, I noticed no screen for words, no song books and only 1 mic so obviously no duets. The DJ who did not introduce himself stated he didn't usually do karaoke and had just been asked to cover. I attempted to phone Ashley but got answer machine. He text and said they don't print song books as they are out of date as soon as done due to the fact they have " so many songs"! However they did not have any of the the songs requested and people quickly got fed up being told no after going up and down to ask DJ. Ashley also comment that they do not charge extra for karaoke, I can see why seeing as it is basically non-existant. I could have paid less for disco with extra charge for karaoke elsewhere, over all it would have cost the same and could certainly not have been any poorer. The DJ was pleasant and well presented, sound was good. However he did not interact with the crowd or have people on the dance floor. Felt like it was his 1st rodeo!!! I spoke to him at end of night and he said he was embarassed and would be having a word with Ashley also. Hard to tell if problem was DJ who came not being able to provide service, or whether owner Ashley doesn't care and sent someone not up to par. I was honestly tempted not to pay until I got better resolution from Ashley, however that would have made me as bad as him as the guy did show up on time and apparently try his best. Overall an extremely disappointing experience. My husband thankfuly had a good night in spite of it, but we could have just played music from our own lap top and saved ourselves the money. Would definately not recommend!!!!" "Ali the Dj who did this gig is a very experienced Dj and regularly does karaoke." "dont get this dj, for a start he never said anything at all on the mic my husband had to go up at 9pm and tell him to tell everyone it was karaoke disco, and it was ment to start at 7:30 and he never said anything till my husband went up and told him to plus before the venue i asked for music from 60s till present to be played, plus runrig and the proclaimors and a bit of country and weastern music and none of that was played, he only played from 90s till now mostly dance music and most people at the venue were elderly, then on the night my husband went up and asked for a few songs to be played but the dj never played them, the mics were also not working properly they kept cutting out and the dj was very snappy and rude and he wasnt comunicating with the people, i was so very annoyed, Please stay well clear of this dj they were terrible, i complained the next day but nothing was fone about it." "Unfortunately Barry who was the Dj didn't seem to have a good night. The problem with the microphones cutting out was due to the switches on the radio mice being on the side of the mic and the customers were told not to press them but still did. I contacted the customer and spoke to her and said that as Barry went on holiday the next day I would talk to him when he got back about her issues. She said not to bother! Subsequent to this Barry no longer works for us as I wasn't happy about this!" "Prompt quote received. Excellent communication. Very competitive price. Created a perfect atmosphere for the occasion. Would recommend." "Thanks, I hope I will entertain you again in the future." "My guests said the DJ was fantastic both for getting people up on the floor and also the style of music he played, and I know he came from Kirkcaldy and before the event he inquired from my wife what kind of music I liked and played that at the start before people were ready to get up, and without a shadow of a doubt I would highly reccommend him to anybody, and also a few people inquired where we had got the disco from on the night so hopefully he got a few more booking. Very good." "Thanks,I'm glad you enjoyed your night!" "According to the school kids, they all had the best time ever. Mums want a disco just like it. He was absolutely fab and to come from over an hours drive away was brilliant. Thanks to the other DJ who pulled out last minute!" "Your party was great fun and I look forward to the next one." "Excellent set up, gave the DJ a set list prior to arrival, however some songs were missing, he did however on the last minute play a song from disc with minimal notice and little fuss, the set up was himself and wife and he played lots of requests, communication prior to arrival was great, however, on the night of the wedding refused to take the rest of the payment via bank transfer the following day so we had to transfer the money before he left, this was a slight inconvenience due to our personal belongings being in our hotel room. Even though this was not stated prior to arrival. His song list was varied however, when requesting younger generation music he was not up to speed with some of the titles and therefore couldn't play the requests, this didn't detract too much from the day. He was very affordable and the issues above wasn't noticed by the guest, I booked without doing much research as I was new to booking a DJ however, think next time I will research and maybe not go with the least expensive choice." "This was a very good night and all the songs requested were available but didn't have enough time to play them and all the requests on the night. My emails clearly state that payment is cash on the night and I wouldn't say it was wise not to be paid on the night when you've never met the person before and have only an email address and a phone number. Unfortunately many entertainers are out of pocket because customers didn't pay after the gig so with me it's always cash on the night. " "Great night thanks to my dj! He interacted very well with my guests and put on any request they asked and also played great music. I also have already recommended him to all my friends having 21st, also was very good for the price"
"I thoroughly enjoyed your party too,pity about the stairs at this venue though.It was a challenge!" "Dj wasn't friendly. I had to ask for his first name on the night and he never conversed at all with me after that." "Hi I'm sorry that you didn't find Barry very talkative,but i'm glad you enjoyed your night." "He played requests as and when. He played music initially requested before the event. the music suited the audience age group. I felt he could have worn a shirt or whatever instead of a dowdy dark jumper. I would happily recommend him." "I'm glad you enjoyed your party and have spoken to the Dj re his dress sense as we are all supposed to wear dress shirt and trousers always!" "Fantastic party from start to finish. The kids had a ball. Thank you so much. Definite value for money." "I'm glad you had a great party,it was a new venue for me and I really enjoyed doing your party. It's always nice to see people having fun!" "Absolute brilliant Dj, very friendly, approachable, takes on all requests. Really involved the crowd & read them right. Played a variety of music for everyone at the event. Took on my own song list & little comments to go with them. Everyone at my party commented how great the Dj was!! Perfect! Thanks." "I thoroughly enjoyed doing your party,it was great fun!" "Although this was a New Year\'s Eve party, Dave was brilliant with the kids (and there were a lot of them!). He took all requests and found a couple of obscure songs! The music itself during the night was bit too "Ravey" but still good fun all the same. I would definitely hire this company again!! Well done Dave!" "I'm glad you enjoyed Dj Dave,he was inundated with requests on the night." Platinum Discos also offers a range of additional party services not directly linked to musical entertainment. 40 years experience and professional! Awesome Dj with incredible musical knowledge! If you are contacting Platinum Discos about an event, it's always a good idea to include the DATE, LOCATION, EVENT TYPE, AGE GROUP and TIMINGS to speed things up!